Similar: The Nexus business park along Narellan Road is expected to be about a third of the size of the Norwest business park. It’s the precinct that could deliver 1200 jobs. However, progress with the proposed Nexus business park has stalled and the blame rests with the Roads and Maritime Services, Campbelltown councillors and project planners said. Plans for the business park which would be located on the Maryfields site to the north east of the Narellan Road and Hume Highway interchange – were revealed by the Advertiser in mid-2015. It’s estimated the Maryfields site alone would accommodate 52,000 square metres of commercial floor space, as well almost 600 residential homes and about 500 aged care dwellings. Wayne Camenzuli from Capital Syndications – the company who are planning the proposal – said progress with the project had stalled for 13 months because RMS planners had tried to put the horse before the cart. He said the concept was only up to the rezoning stage yet the RMS had tried to “impose” conditions that would be addressed during the development stage later on. Campbelltown mayor George Brticevic had become so frustrated, he recently took his concerns directly to Planning Minister Anthony Roberts. “We went and spoke to the Planning Minister because of the red tape,” he said. An RMS spokesman was asked whether the RMS had taken too long to do what was required, however that question was not answered directly. “Roads and Maritime Services is working with Campbelltown Council and the proponents of the business park to ensure adequate infrastructure is provided to address the impact to the surrounding road network,” he said. Artist impression of what a precinct on the western side of Campbelltown Train Station could look like. Cr Brticevic said it wasn’t the first time the RMS had caused unnecessary delays for local projects. “They are a very difficult organisation to deal with,” he said. Cr Paul Lake, who was mayor in mid-2015, was also unimpressed. “Well done to the RMS. They are doing it again and screwing us over,” he said. Mr Camenzuli was optimistic the project would be back on track soon. Campbelltown Council has also signalled its intentions to establish a similar park on the western side of Campbelltown Train Station. 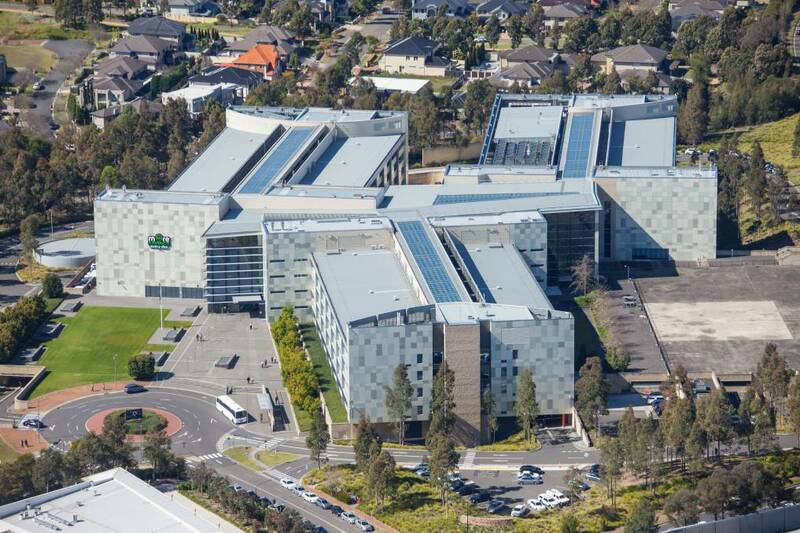 Dscussions with the TAFE and Western Sydney University about incorporating land south of Narellan Road into the precinct, have also been held. Mr Camenzuli said the potential benefits to the local economy if all parties got involved, was huge. “There is a real and genuine potential that between all parties, we can create something as significant as Norwest in the southwest and the desire to make that happen locally is very strong,” he said. “That is the goal, and much of the infrastructure is already in place. The current owners of the Maryfields site – the Fransician Friars – would relocate to the north western corner should the proposal go ahead.